Jumpsuit with velcro fastener to back. Headpiece with velcro fastener. Hand wash. Do not use bleach.Do not use dryer. 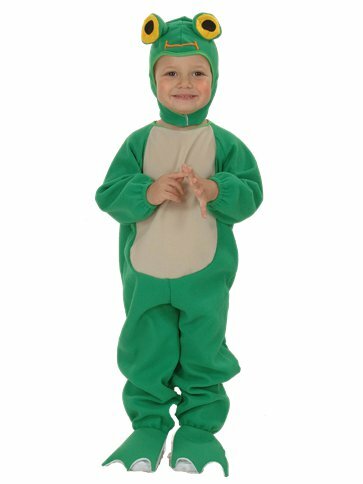 This adorable, two piece costume features a Soft, cuddly jumpsuit with attached, webbed shaped shoe covers and an eye popping headpiece with under-chin velcro fastener.